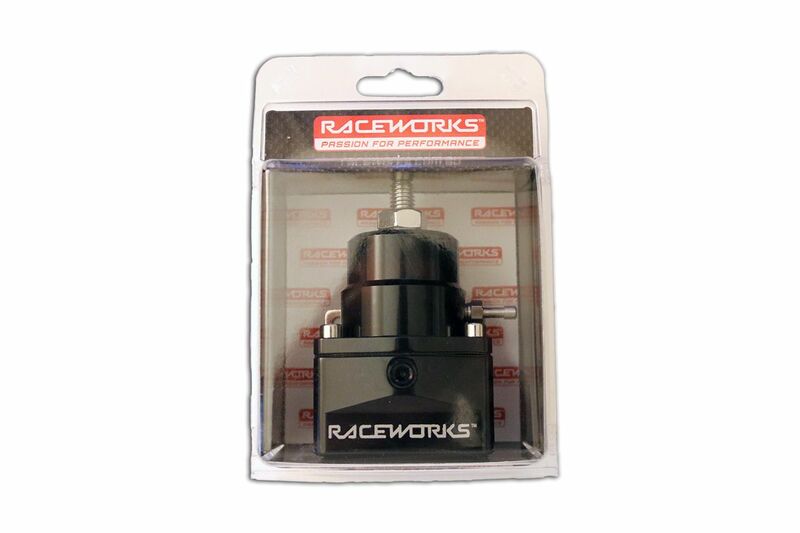 Raceworks Billet Adjustable Fuel Pressure Regulator. With dual AN -10 inlets and an AN -6 return, this fuel pressure regulator is suitable for the most demanding street, strip and race applications including turbo and supercharged. 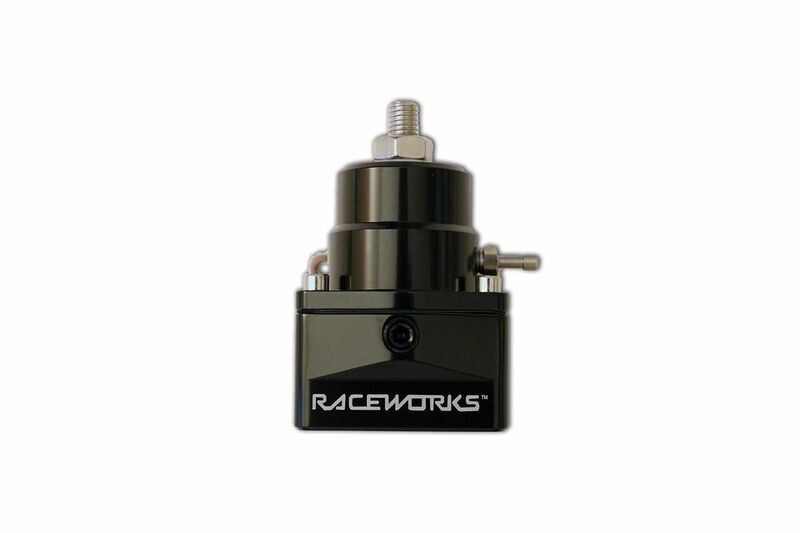 Raceworks Billet Adjustable Fuel Pressure Regulator. With a Black anodised aluminium finish and E85 ready, this billet fuel pressure regulator is suitable for the most demanding applications including turbo and supercharged. Fully adjustable pressure (40-70psi) with dual AN -10 inlets, and an AN -6 return, this is a very flexible regulator for single and dual rail installs in street, strip and race applications. 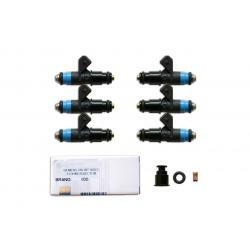 This fuel pressure regulator has a 1:1 rising rate and is compatible with all fuels including E85. Comes with mounting bracket and 1/8″ NPT gauge port. 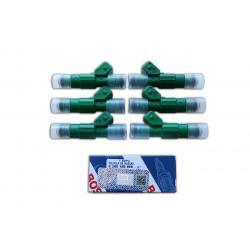 Use our Fuelab 0-120psi Fuel Pressure Gauge. 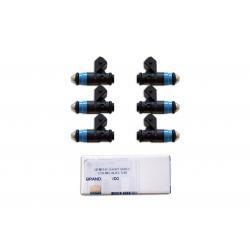 Great quality regulator that can support big HP. Solid construction and good looks. 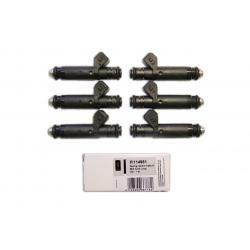 Shipped fast by TI performance and at a great price. Bought one for my R33 after having fuel pressure issues. Just got the car tuned on E85 for running in and everything is sweet. So for cost comparison with other brands yes it’s cheaper but still does it’s job as it’s supposed to.